Teachers use curriculum integration to teach students about several subjects at once and show them how to apply the things they learn to real-world situations. 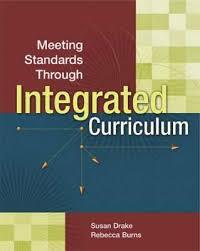 Curriculum Integration is one of many research paper topics that Paper Masters provides. Use this topic suggestion as a guide on how to write a paper or order your own custom research paper. Teachers use curriculum integration to teach students about several subjects at once and show them how to apply the things they learn to real-world situations. For instance, an educational strategy of learning how to play music can also teach a student about the fundamental aspects of math. By reading whole, half, quarter, and eighth notes, the student gains a better understanding of fractions. He or she can then apply this knowledge by playing a song, improving the outcome of learning. Curriculum integration not only provides support that encourages children to apply skills, it also helps students learn in a way that engages them. Many students get bored when they study math, chemistry, and other subjects from books. Curriculum integration helps avoid boring lectures and reading by showing students that what they learn has value in the world, which is certainly not a new educational philosophy. That value could come from using math and chemistry to construct a scale model of a volcano that will excite students when it explodes, or it could come from using geometry and woodworking skills to make a useful household item. The ultimate goal of curriculum integration is to challenge students in both the primary and secondary grades with interesting tasks that use skills from more than one discipline. In many cases, the students do not even recognize that they are mastering abstract concepts by applying them to real-world scenarios. This helps more students pay attention and remain interested in what they learn at school. The most important facet of curriculum integration that distinguishes it from the conventional whole-group model is the participation of the students as active owners of their own learning. Through extensive group work, students are empowered to explore topics that are integrated, although they are guided by the parameters of the learning goals set forth in their whole-group discussion time. It has been argued that according to the principles of curriculum integration, the students that fall between gifted and the special needs student on the learning spectrum as ‘normal’ experience or the typical management of a classroom, an injustice because it implies the common assumption that they are all similar in some fundamental way. To the contrary, recent studies have indicated that there are as many styles of learning and levels of ability as there are students in the typical elementary classroom, and current standards of instruction do not adequately address this fact. Needless to say, it would be impossible to develop a viable instructional method that could address the minute fluctuations in learning style and ability that distinguish each child in the elementary learning environment. However, researchers have also noted that several broad categories of curriculum integration has emerged from these studies, and using only slight modifications, most extant curriculums can be adapted to these categories so that students will be afforded the greatest degree of access to learning material possible, thereby maximizing the degree of retention and assimilation they can achieve, within national education standards. 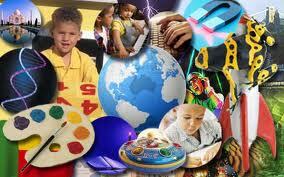 American contemporary public education system is not set up to integrate curriculum. Both schools and students continue to operate on the tenets of the exclusionary principle that engenders competition and isolation and minimizes true diversity. Instead, by unconsciously adhering to exclusionary notions, educators and students view students with different abilities as intrusive problems. Many difficulties involved in developing a truly integrated curriculum program is establishing one that meets the needs of older students. Because many of the early successes reported in the literature were modeled in primary grade environments, the particular challenges of upper-grade and secondary inclusion programs have not yet been adequately addressed. research, the higher the grade, the less likely it is that any type of differentiated instruction occurs on a regular basis. Paper Masters writes custom research papers on Curriculum Integration and discuss how teaching students with integrated curriculums show them how to apply the things they learn to real-world situations.